It’s been a while since we talked cloth diapers! Things have changed quite a bit, and we have a good groove going. 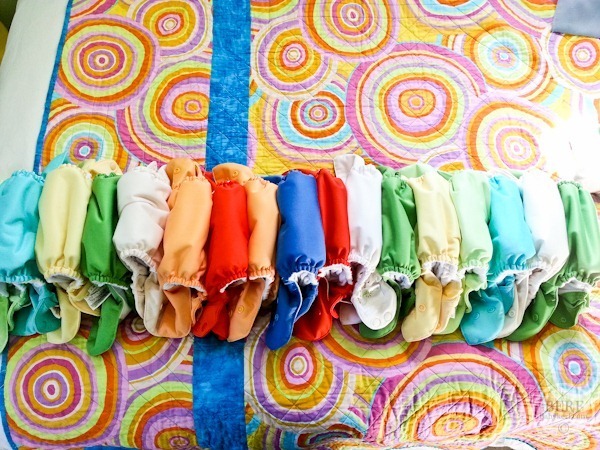 I can now say that I LOVE cloth diapering – something I really didn’t expect to happen! With my old set (foreshadowing to something new…), I tried sunning them. This helped a ton with the staining, but not as much with the stink. What did finally fix my stink problem was getting rid of the Rockin’ Green detergent and switching to Tide Ultra Powdered as so many cloth diapering moms recommended (along with Padded Tush Stats, a great resource). I left these guys out there for 2 whole days and there was some improvement, but switching the detergents really made a big difference. The Thirsties one has just a thick pouch in the middle. 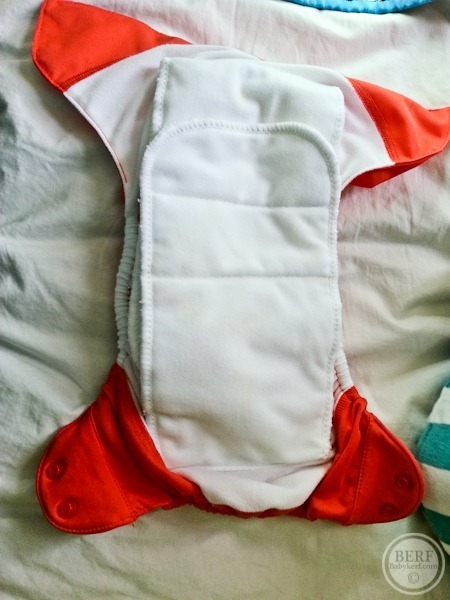 I like the design a lot and the fit was great, but it took a lot longer to dry than my other diapers, which I saw as a major drawback, and we had a few leaks. The Freetimes have two flaps that fold over one another in the middle. They flap open in the laundry and wash + dry very easily. It’s also made of stay-dry material. They fit really well and we have had almost NO LEAKS since switching. This was a huge improvement from leaks multiple times a day and a sign we finally found a diaper that fits our baby well. I LOVE the all in ones!!! 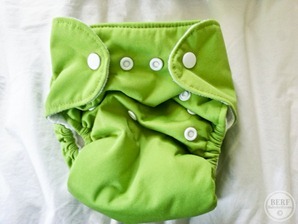 Unlike the pockets, you don’t have to touch the inside of the dirty diaper during diaper changes. This was a huge negative for me – so gross not just because you have to touch it but because it was sort of hard to maneuver. You just put the whole thing in the wet bag just like a disposable. Also, at laundry time there was no stuffing what-so-ever. I am a total AIO convert! Since falling in love with the Freetimes, I discovered a Facebook group to buy/sell/trade cloth diapers. (Search for it on Facebook – there are a handful of different ones). Through this group, I was able to buy a great collection of Freetimes at discounted prices. A few were used, a few barely used and a few brand new. They were all about 25% off. Great deals! I spent about $200 on our stash, which I am really pleased with considering the use we’re getting out of them. I gifted some of my stash of pocket diapers to some friends who wanted them and gave a handful to Goodwill. I’m sure those who love pockets will get great use out of them. We now have 21 Freetimes that I wash every other day. I always have some to spare on laundry day too. Laundry is no big deal because I have a detergent that works and much less stuffing to do. And cloth diaper laundry is just sort of fun. Just look at that rainbow! I love bumgenius! We are 4.0 users and have not tried freetime yet. I have a few elementals and, like you, found the drying process really long. I really like the pockets because I can adjust the fluff. I will have to try a freetime because we are traveling in April and an AIO would be a bit easier. Have you tried Best Bottoms? They are another favorite of mine. The Freetimes really are awesome! I like them so much more than the Elementals – because of the way the inserts are each unattached at one end, I find it easier to add more absorbency (the Elemental always confused me, where could I put my hemp inserts? You want hemp BEHIND a faster absorbing material, but there’s no room under the sewn down layer!) And the Freetime dries so much faster because it’s microfiber instead of organic cotton (which could be a negative for some people, but really does make it a faster diaper, it seems!) They’re really worth trying if you need an AIO! Would you recommend starting with the AIOs if we’re switching from disposables? I was leaning towards pockets since they are usually cheaper, but it seems like the AIO would be easier to use. Glad you love the Freetimes! Those are the ones we use, too. We picked them because they’re basically like the disposables, only cloth. Plus they were $5 cheaper than the Elementals. We have 25 of them, and that number seems to work really well. We had to switch from a nanny to daycare, and after a good demo, they’ve figured out how to work with them too. We did have some overnight leaks, but I found by folding the flaps in a different configuration (more absorption in front now that she sleeps on her tummy), leaks are minimized/nonexistent. When we traveled during the holidays, we used disposables, which I HATED. Poonami every.single.time. We’ll travel with the cloth from now on. Right now I’m dealing with some stubborn stains on just a few. We use the Rock in Green- I haven’t had any smell issues with it yet. I do find I need to do an extra rinse to get softer diapers, but that’s prolly because I use a touch too much detergent. One thing I’ve noticed is how pilly they already seem to be. Not sure if that’s how I’m washing them or how cloth tends to be. I hope these last through a second baby! For people who are looking to start cloth but are overwhelmed by the cost, check and see if a local store that carries cloth diapers hosts a diaper swap. There’s a store in my city that has one twice a year. People bring their gently used diapers to sell in addition to other baby items like carriers. I picked up my (unused) breast pump there for only $75! 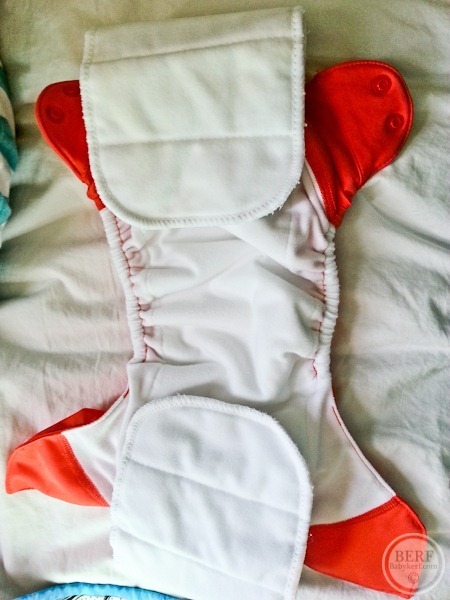 I got Best Bottoms for Jackson….. was planning on having cloth diapering down before my maternity leave was up- then our baby boy was a smidgen (okay, a lot) too small for them……. We’re just now getting to use them because he’s finally big enough! I love that if it’s just wet all I have to do is take out the snaps and don’t dirty a whole diaper- only if the liner is soiled do I need to change the whole thing—- so much easier than pockets & inserts. All in one is the way to go for this family! Love, love best bottoms! I have 2 kiddos using them right now. Good for you for figuring out a system hat works for you and your family! I’m glad you’ve found a setup that works for you, from the right diapers to the right detergent. There are so many options out there – it’s great when people find what works for their particular family. I don’t think you’ve started Mazen on solids yet, but once you do, my favourite diapering accessory is a diaper sprayer or bidet sprayer that hooks up onto the toilet. You spray the poop right off into the toilet and flush. It’s really easy and clean. Cool, thanks! Do you prefer that to the liners? In the style of diaper we use (Sandy’s Motherease)- liners (washable or disposable) are optional and we have never found them necessary. Regardless, I would imagine you will find that you will want to rinse soiled liners (unless they are disposable of course) once he starts on solids, the sprayer would work for that too. Wait until you see what the stools are like once he’s on solids. Every babe is very different, but even with fairly loose stool, it works well for us. I’m sure there’s a video somewhere. I’m using the spray on my 4 month old’s cloth diapers (no solid food yet). We live in Thailand where ALL toilets have sprayers (Thais do not use toilet paper – only the sprayer), so we didn’t have to install anything. To avoid spray mess: (1) – Hold the diaper down in the toilet as much as possible (will depend on how much standing water you have in your bowl), and (2) adjust spray strength accordingly (there is a little valve/knob on ours which controls how much water comes through the pipe, therefore how much spray power you get). We use that sprayer for all kinds of things. Will be installing sprayers for all our toilets in the future, where ever we live! We love the sprayer too, but I’m opposite. Once our baby started solids, her poop is typically more solid and can pretty much be shaken into the toilet. I also use the Bummis disposable liners for when we are out and about. But be careful with the liners, they are not flushable with our personal septic system. I’ve read that with industrial toilets they are fine, so I tend to save them for when we are not at home. I’ve been spraying my 3.5 month olds prefolds + BumGenius 4.0s since the start (breastfed poop). I find it less gross to put into the wetbag when I’ve gotten the yuck off first, and I like to think it makes for less stains overall. I also like the idea of not putting gobs and gobs of poop into my washer, water soluble or not, haha. Kind of looking forward to having less runny poop to spray down! But it hasn’t been a big deal. I hated the diaper sprayer. Flying poop, no thanks! I sold it as soon as I bought it…. I’m glad you found a system that works for you! And TIDE made everything SO much easier. One detergent for the WHOLE household!! All that stress over using the ‘proper’ laundry detergent and we ended up back at Tide. Sheesh. What are your favorite liners? They are washable? I use to throw them all away, and then I read somewhere that people were reusing the ones that were only peed on by washing them with their diapers! Duh! I’ve tried 3-4 different brands of liners, some hold up better in the wash than others and some are softer than others. Some are a little bigger and I have to fold them a little. But they all do the trick. I just order these off Amazon. Likes: Perfect fit inside the diaper (no folding), cheaper than others, soft. Dislikes: Don’t wash very well, I can usually get 1 more use out of them but they start to disintegrate after 1 wash.
I’ve tried the bummis ones too. Likes: wash well, soft. Dislikes: I bought the large and had to fold them a little, never tried the smalls. Kinda pricey. Grovia has good reviews as well, but never used them. Sorry for the novel, lots of options out there! I searched fb but all of the groups seem to be in Canada. I bought a barely used BG 4.0 stash on ebay – 18 for $200. So far I love them and don’t find stuffing or unstuffing the insert to be that big of a deal. I wash my hands after every diaper change anyway. Also I find if you wait to unstuff them on laundry day then its not as messy. My only complaint is my stash came with quite a few white/noodle colored diapers and they are so boring compared to the awesome colors!! I love the teal and red…may have to add a couple Freetimes to the stash! I don’t unstuff mine before washing. I have pockets & the inserts just come out in the washer and I can just stuff them after they’re all dried. It saves a step & my sanity! Actually a few of mine were unintentionally unstuffed last wash day and the inserts were just balled up in the diaper and didn’t agitate out! I didn’t notice a smell and dried them anyway but I don’t think they could get fully clean if they don’t shake out. Probably has something to do with the difference in washing machines but it would definitely be nice not to have to unstuff! I’m not really understanding how it’s messy to unstuff it at the time you put it in the wet bag? I just pull the flap back by pulling on the outside of the cover, that exposes the insert, and I just barely grab it by the edge and pull it while holding onto the waistband of the cover by the snaps. Comes right out, fingers haven’t touched hardly a thing, and I wash my hands every change anyway. This works even with poopy diapers. Ah yeah, I see what you mean. My flow is to pull it off him, fold it onto itself (so that its the same shape as when on him), and put it in a corner of the changing pad. I get him cleaned, changed, and in his crib, then take the diaper to the bathroom to deal with (it’s where our wet bag is). Definitely could not do it while at the changing pad with squirmy baby. Yeah, I think it’s just about what systems you have in place! How are you folding the freetimes for Mazen? We have the freetimes too for our son that is 5 months but I find them really bulky in between his legs. I just put the flaps flat – one on top of the other. Seriously love that your using cloth! My mum tried it with me when I was a baby…nearly 25 years ago now and said it was nightmare but man how they have changed..at least from what I’m told! Glad you found your perfect diaper! Based on what works for mom and what works for baby, it takes awhile to nail but when you do find the right kind….it’s diaper nirvana. I used to save so much money by going onto diaperswappers dot com It used to be like the FB group you described. Buy, sell and trade. I used to get more excited about buying cute diapers than shoes or just about anything else! Cloth diapering is such a journey! We have one of the bumgenius elements with velcro and I like it okay but E is so petite that it doesn’t fit her that well. We fell in love with Applecheeks and I really like Charlie Banana and Fuzzibuns. I need to do a cloth diaper update myself! Thanks for sharing! I’m due with my first in May and attempting to get set up in the cloth diaper world. I was leaning toward Bumgenius AIO’s to get started. Do you know the difference between Bumgenius Elemental and Freetimes? Elementals are organic and more expensive. They also have a built in strip kind of like the Thirsties Duo in this post whereas the Freetimes have the flaps that are microfiber and “stay dry.” I haven’t tried the Elementals, but I know some people love them. Just saw your comment and wanted to chime in. We just jumped into cloth diapering and I’ve been doing some research and trying different diapers out. Lots of trial and error! Like Kath said, the Elemental is organic and a little more expensive. It takes longer to dry than the Freetime, but one thing I really love about it is that the Elemental is trimmer. I’ve tried both and I think they’re both equal in terms of absorbency. One thing though, bumGenius JUST introduced a new version of the Elemental. This one is supposed to be even trimmer and dry faster but I am skeptical about absorbency. I’m so happy to hear that you switched. We’ve been using 12 AIOs and 12 pockets from the beginning and haven’t had any issues. I do prefer our AIOs though, I am not a fan of unstuffing pockets either. 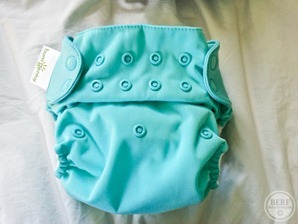 We have 12 Bumgenius 4.0 pocket diapers and 12 Annie Marie Padorie AIOs. The AIOs were actually cheaper than the pockets so in hindsight I wish I would have gone all AIO. I read a similar post to yours about Rockin Green detergent issues this week. We use a Canadian brand called Nellie’s All Natural Laundry Soda and it works amazing and is so cost effective. I use it for all of our clothes now. Good for you for sticking with cloth diapering and finding a solution that works for your family! Yay! It’s great when you find a system that works! It has great info and resources for cloth diaper questions. Love it! And I replied to someone’s post but just in case, biokleen bac- out has been great for avoiding stains and stink in my diapers so far. I just spray after I change my little man and stick it in the bin! So easy! What did you figure out for a night time solution? Do you add extra absorbency? I also reco a sprayer instead of liners. Liners seem wasteful and not cost effective (two of the points of cloth) to me. Maybe I’m wrong, as I know ppl love them. As for the poop, of course it’s diff than bmilk poop, but most times it’s pretty non messy for us, much more solid. Not all of the time of course. Ha! I’m with Allison and like the sprayer better for the same reasons. I was scared of what his poop would be like when he started solids, but I actually like it better. The more solid it is, the easier it is to clean up! It pretty much just plops in the toilet now and I just do a little spray to reduce staining. Plopping is good : ) Spraying (i.e. breastmilk) can be scary! 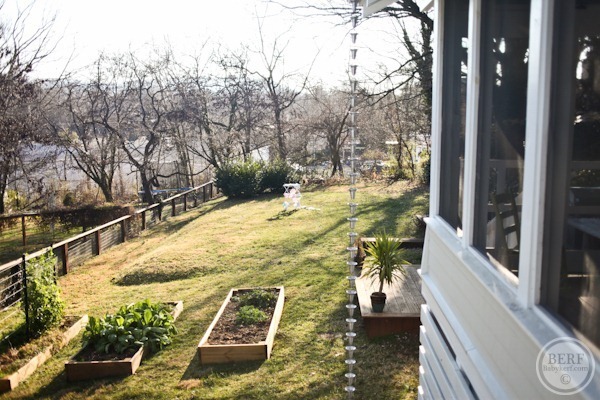 Off topic…you have such a beautiful house and yard. Thanks for the update cloth diaper post. I really want to love Best Bottoms (AI2…a PUL cover with snap in hemp or microfiber inserts), but I will have to wait until my LO is here and I can see what works best for him/her. I feel really lucky to live in a city with some GREAT cloth diaper stores, so I’ll have lots of options to look at in person and some have good refund policies if the particular diaper doesn’t work for you. 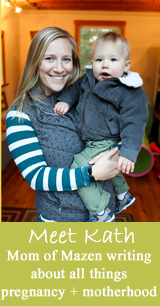 Thanks for discussing the downside of the messiness in non-AIO diapers. I had never thought about that before. Definitely something to consider before buying a big stash of one type of diapers! I can’t believe I’m the only one who uses prefolds and fitteds! It took a minute to get the hang of, but I love them, and prefolds fit even the tiniest newborn. They’re also very cost-efficient, which us why I chose them. I used disposables with my 7 y/o, but this time (my LO is 9wks) I really wanted to use cloth. Knowing this was our last baby AND not having a very big budget, we decided on Osocozy prefolds and I also bought a stash of used newborn fitteds from a friend, and some bigger fitteds from Green Mountain. I just this week added 4 Fuzzibunz OS pocket diapers for night time use. We’ve also been using Charlie’s soap from day one and love it! It’s great that there are so many options out there to suit everyone! So glad you found a cloth diaper solution that worked for you! We used prefolds for the newborn stage, and had been waiting for him to move up big enough for his BumGenius 4.0s. He started wearing them a month ago, and they are AWESOME!!! I was actually feeling a little bummed when we finished the newborn prefolds that I hadn’t just done all prefolds, because drying is insanely easy (can’t put the BG covers in the dryer and they take longer to dry than the Thirsties covers that are nothing more than PUL) and they were so much cheaper, but when I started using the BGs…man! I LOVE them!! I also love that when he pees, he doesn’t need a diaper right.that.very.second. the way he did with prefolds. We have 14 BG 4.0s and 12 size small prefolds, which I had bought before he was born to bridge the gap between newborn prefolds and BGs, and it works kind of nicely because I can use the prefolds when I think it will be only pee, for the easiest cleanup, and while waiting for BG covers to dry if I didn’t time the laundry well. I liked the idea of pockets when I was buying them because it meant I could stick the insert in the dryer vs line-drying (indoors, I have no yard), and I could customize the absorption (we add a newborn absorbency layer for overnight), but was worried about the inconvenience of stuffing them after I got them and prepped. Turns out, I just stuff them while he is playing on his play mat, and it hardly takes me any time at all. I also don’t have any issues taking the liners out after they’ve been used (even poopy) – I commented on another comment with the way I take them out. So, I’m satisfied with my pockets. Doesn’t BumGenius make a quality product? Love it! We’re 14 months into cloth diapering, and I still love it! I’m glad you are having a positive experience as well. Thanks for sharing it with us! Hi Kath, coming back to an old post here – weren’t you using Oxyclean at one point also? I had been using Charlie’s unaware of the ammonia burn issue and now am thinking of switching to Tide. Also would you mind sharing your exact laundry process? 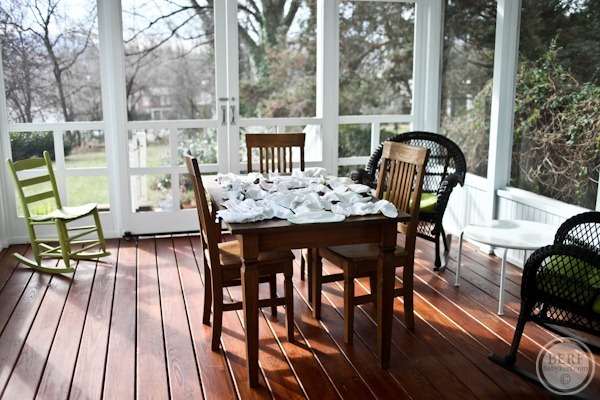 I looove cloth diapering but don’t love stinky diapers (after washing!) Thanks! I haven’t been using the oxiclean and things are going well. I put the diapers in with 1 half scoop of tide (up to the 2) and put them on the heavy duty setting of my washer followed by an extra rinse at the end. So far, so good! 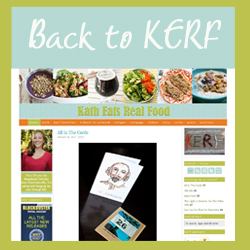 Hi Kath – I know this is an old post. My son is 2 months younger than Mazen. I am curious what snap setting you have your diapers on for Mazen right now? I have some Freetimes and some 4.0s and I can tell that the rise on the Freetimes is lower. I have heard some people say that their babies grew out of them before potty trained. I’m wondering if I should just invest in more 4.0s because they run bigger. Also – are you using disposeables at night? We’ve had leaks with the freetimes at night. Next post: 10 Days Till 6 Months!